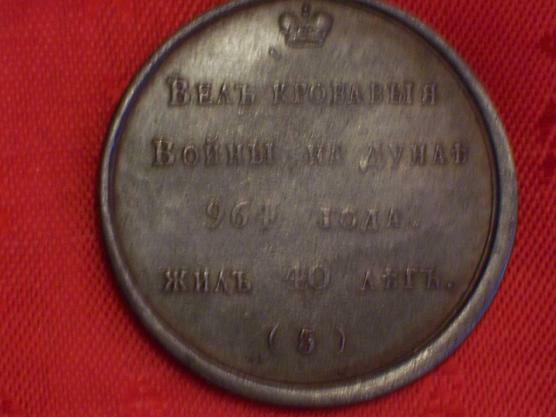 The Table Medal you are looking at, came from a russian ruler series which covers the rulers of Russia from Rurik to Emperor Paul I, and are consecutively numbered. Made in the 19th century. In dark metal, size 38mm. 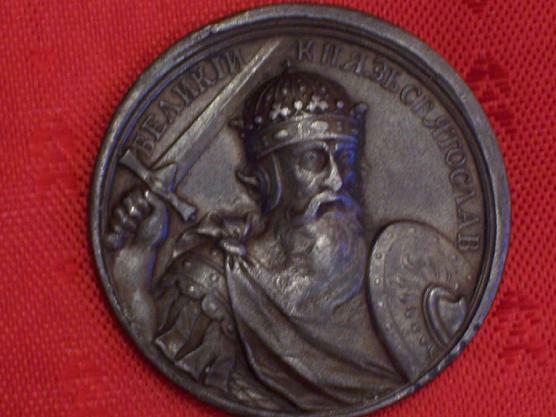 This is #5 medal of the Russian Ruler Series. Reverse: Led Bloody wars on the DANUBE in 964. He lived 40 years.